Have you ever found yourself in a situation where your kid wakes up in the middle of the night with a runny nose and/or an irritated throat? The problem may not be related to viral infection. The problem can be their mattress, and the dust inside it. Dust mites can be one of the reasons that might break their sleep, and cause troubles for your children in the middle of the night. We are all very sensitive to the health of our children. Dust mites can easily attack them. As a parent, it is your responsibility to protect your child from such unseen enemies. Due to these dust mites, other problems like Asthma may also cause trouble for young children, as well as other acute allergies. The bed sheet, mattress, and their cover, can get covered in dust, and in some cases, mould. Sometimes young kids spill water or food on the bed sheet, which stains the mattress as well, and if left unnoticed for too long, the fungus attacks the place. The fungus grows on the mattress and slowly spreads all over the bed. It has been seen that many times, young people, especially young mothers, suffer from health issues like joint pain, back pain, restlessness of muscles, etc. Ladies often don’t consider changing their bedding for a very long time. It is true that some products have great durability. It is recommended that bedding should be replaced every six to eight years. This is recommended because the durability of a mattress decreases with time, its elasticity also decreases. The material used for bedding also loses its durability. So, it is advisable to replace it when you replace your mattress. New mattresses are covered with chemicals, which has a strong smell. These temporary odours are adhesive compounds, and disappear over time. They are harmful in nature, and can cause headache, breathing problems, etc. Other chemical compounds like toluene and benzene are also used to protect new mattress packaging. If these new mattresses are kept for too long in a non-ventilated room, it can cause health concerns. • While opening the new mattress, put it under the sun, and let all the gases evaporate. • Replace your old mattress with a new one. • Clean the dust mites using a vacuum cleaner, and air it out in the sun. • If you find mould inside the mattress, replace it immediately. Your mattress is very important for getting a proper night’s sleep, and for relaxing your body. 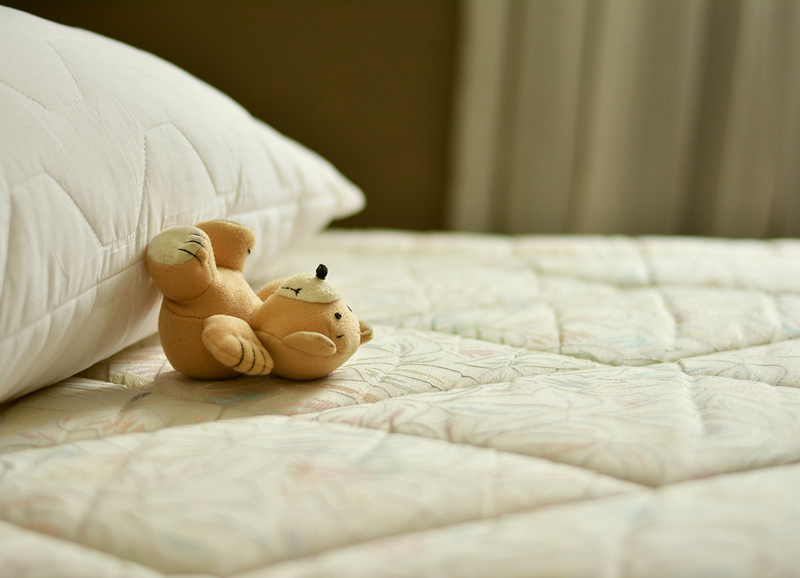 It is advisable that regular cleanings should be done, to maximize the life of your mattress. Kelly Wilson is a freelance content writer. She has written many informative articles on categories including technology, health, fashion, education, career, travel, etc. She is a featured author at various authoritative blogs in the health and fitness industry, and currently associated as a blogger with tvg.com.